I have a sustenance conundrum. I’m tired of eating chemical-tasting goos and gummies. I like the idea of a gel for everything from cycling to skiing but I have yet to try one that tastes good and doesn’t upset my stomach. Any recommendations? Goos and gummies—some live by ‘em, some can’t stand ‘em. It’s all about finding what works for you. I’ve tried just about every goo and gummy on the market and I have two favorites that a) taste amazing, b) are more natural than some of the other offerings out there and c) don’t upset the stomach. Oh, and did I mention they taste amazing? If I had to pick a single company to rely on for all of my sports nutrition, it would be Honey Stinger. From energy bars to gummies, they have an excellent array of tasty and nutritional products that have been proven to fuel some of the best athletes in the world. 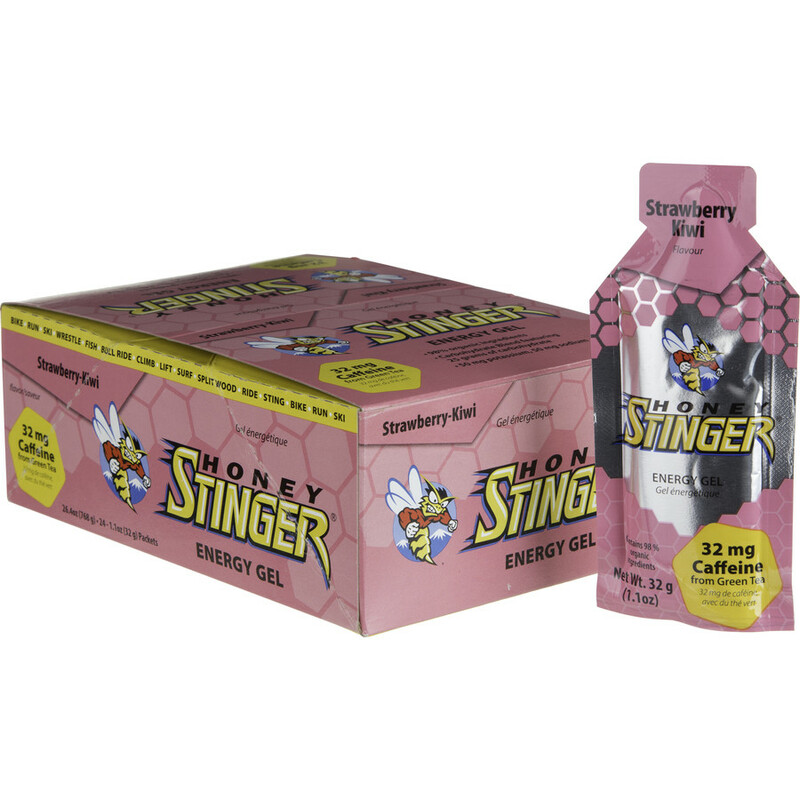 However, what Honey Stinger does best, in my opinion, is their gels, which reflect a stalwart commitment to honey. If you are looking for a natural gel, go with their Gold Gel. It’s 95% honey and bursting with B vitamins and electrolytes. A 100 calorie packet is stacked with 9% of your Daily Value of carbs, so ripping through a couple of these on a hard ride or in the middle of a tough race is a surefire way to stay energized. Other favorite flavors: the new Mango Orange is deliciously tropical and sweet, the Strawberry Kiwi has 32mg of caffeine and the Acai and Pomegranate is always a tongue-pleaser. Skratch Labs raspberry gummies are the best. I say that for a few reasons. These little nuggets taste like, you guessed it, raspberries. A rarity in the realm of sports nutrition, these gummies actually taste like the fruit for which they’re named. Obviously, this has a little bit to do with taste. But more than that, these gummies won’t stick to the inside of your jacket or jersey pocket. Should you not finish them, and scrunch up the package, you need not worry about a sticky pocket. The flavor is subtler than many other gummy concoctions, and that’s because of the simple, targeted approach that Skratch Labs takes. There’s more nutrition and less filler. The nutritional value really does come from a “Lab,” as these tasty drops contain a precise and scientifically combination of sugars, carbs and sodium to keep you charging all day long. As we mentioned earlier in this post, it’s all a matter of preference. But these two suggestions have worked for us time and time again—give ‘em a try and see what happens! In the new “What Works” column, Active Junky gear testers will be answering your questions. Send an email to [email protected] with questions on all things gear, tips and more.